Today I present Part Two of Apostolic Coup d'etat, the first of which I presented last month on this blog. Both podcasts appeared originally on the website of Radio Free Mormon. I have taken the opportunity to not only link to both podcasts on this blog, but also to provide a written transcript for both chapters. I recommend you first READ OR LISTEN TO PART ONE HERE if you have not already done so, as it contains important background to this one. I should note that the section subheadings in both transcripts were placed here by me, Rock Waterman, and not by the author. I am also responsible for any captions, illustrations, and links to outside sources. In the last episode, we talked about when Joseph Smith was murdered in June of 1844, the problem was not that there was nobody who could lay claim to being the next leader of the church; the problem was that there was an overabundance of people and groups who could feasibly lay claim to being the next leader of the church. We talked about how Brigham Young, who on behalf of the Quorum of the Twelve Apostles, was able to convince a majority of the Latter-Day Saints to accept the Quorum of the Twelve Apostles as the leaders of the church in place of Joseph Smith and the First Presidency. We also talked about how three and a half years later at Winter Quarters, Brigham Young, over substantial pushback from five of the other apostles, managed to win acceptance for his proposal to reorganize the First Presidency with himself as president, and apostles Heber C. Kimball and Willard Richards as his counselors. We also talked about how miracles appeared to have been created and then retroactively inserted into the historical narrative to show that Brigham Young had been transfigured into Joseph Smith at the August 8, 1844 meeting in which he spoke to the saints and argued that the apostles should lead the church. We also talked about the retroactive "miracle" at Winter Quarters on December 5th, 1847 at the meeting with the apostles. Actually, only eight of the twelve apostles were present for this meeting when Brigham Young said that there was an earthquake and Orson Hyde amplified on that, saying not only was there an earthquake, but also the voice of God was heard by the apostles, saying it was time for Brigham Young to step forward and become president of the church. These stories, however, surfaced many, many years after the events they allege to portray. And in fact, in both instances, people who were present at the time and made contemporaneous records mention nothing unusual or miraculous occurring. So both of these stories appear to be late fabrications that were inserted into the historical record in order to buttress the claims of leadership. The purpose of the stories is to show that God sanctions, God approves, God commands these changes in leadership; God approved of Brigham Young and the apostles leading the church. That’s why Brigham Young was transfigured into Joseph Smith. Later on, God ordered, by his own voice from heaven, that Brigham Young should become president of the church and reorganize the First Presidency. The purpose of these "miracle stories" is to confirm that this is the way God wanted things to happen. And it’s also interesting to note that the only reason for creating miracle stories and applying them backward in history at these critical junctures of leadership transition is because the people who created them felt their claims needed buttressing. In other words, they felt their claims were not strong enough to stand on their own, and therefore needed an extra miracle in order to solidify their case. We delved a bit into Section 107, given in 1835, which describes the different quorums of leadership in the church: the Quorum of the First Presidency, the Quorum of the Twelve Apostles, which is said to be equal in power and authority to the First Presidency. We talked about the Quorum of Seventy, which is described in the revelation as being equal in power and authority to the Quorum of the Twelve Apostles. We talked about the fact that this revelation does not say two things that modern-day Latter-Day Saints like to ascribe to it. The first thing it does not say is that any quorum has the power to reconstitute a higher quorum. Specifically, it does not say that the Quorum of the Twelve has the power to reconstitute the First Presidency. The second thing this revelation does not say is that one quorum is above another in power and authority. That’s the way it’s become to be interpreted nowadays. And we quoted from Joseph F. Smith in 1906 to that effect in the last episode, instead of a strict hierarchy at the top, First Presidency, next Quorum of the Twelve Apostles, next Quorum of the Seventy, as we have it today. "For behold, verily, verily, I say unto you, that ye have received a commandment for a law unto my church, through him (that’s Joseph Smith) whom I have appointed unto you to receive commandments and revelations from my hand. "And this ye shall know assuredly—that there is none other appointed unto you to receive commandments and revelations until he be taken, if he abide in me. "But verily, verily, I say unto you, that none else shall be appointed unto this gift except it be through him; for if it be taken from him he shall not have power except to appoint another in his stead." So here is the reference in the Doctrine and Covenants, in the published revelations of the church, to how a successor to Joseph Smith will arise and that is through direct appointment. That is the word used here, "appointed" -direct appointment by Joseph Smith- which would presumably be prior to his death. He would have to appoint somebody. And what we are going to see as we touch on this part of the history of the church is that there were a number of people coming forward who claim to have appointments by Joseph Smith. And they even use that word - appointments - by Joseph Smith to be the next president. So here’s this expression by Brigham Young that he knew of this idea, that a person had to be appointed by Joseph Smith in order to be the next president. Not only does this quote show Brigham Young understood this principle, it also indicates that Brigham Young understood that the Quorum of the Twelve Apostles did not have this specific appointment. Brigham Young himself did not have this specific appointment. There was no basis that Brigham Young could claim, based upon Section 43, that he or the Quorum of the Twelve Apostles should become the leaders of the church. He argued it on different grounds and ultimately won the day with the majority of the Latter-Day Saints. But to give you an idea, there was another fellow named James Strang who you may have heard of. And he came forward with a letter that he claimed was mailed to him prior to Joseph Smith’s death, written by Joseph Smith, in which Joseph Smith appointed William Strang to become the next president of the church when Joseph Smith died. And it was generally understood even by Brigham Young that Joseph Smith’s son, Joseph Smith III, was appointed by Joseph Smith to become the next president of the church. Joseph Smith III was very young when Joseph Smith died, and Brigham Young held open the idea that the apostles would lead the church until Joseph Smith III was old enough to become its rightful president. 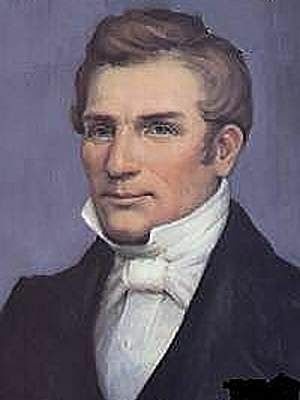 Joseph Smith III, however, had no intention of joining with the church in Utah. He was a member of the church to which his mother belonged. That would be Emma Smith, that would be Joseph Smith’s wife. And ultimately, Joseph Smith III became president of the Reorganized Church of Jesus Christ of Latter-Day Saints, which ended up putting him out of contention for being president as far as Brigham Young was concerned. And not only did Hyrum Smith and Joseph Smith III have appointment claims along with James Strang; Samuel Smith, Joseph Smith’s brother, appears in Nauvoo in July, a couple of weeks after Joseph Smith is murdered and he claims Joseph Smith appointed him to be the president of the church in case Joseph and Hyrum were killed at the same time. We'll talk more about Samuel Smith later because he came to a tragic -and somewhat suspicious- end. So, the idea there being, that if Joseph Smith fell away, David Whitmer now, by this ordination, would become the leader or prophet of the church. I mention all these examples to show that this was a commonly understood idea in the early church, in Joseph Smith’s time, that for a person to become the leader of the church, they had to be appointed to that office by Joseph Smith. And as I have indicated there were a number of people who came forward to claim that appointment upon Joseph Smith’s death. It was a little like in the 1970’s when Howard Hughes died, and people started coming out of the woodwork claiming to have wills written by him that gave them all of Howard Hughes' money. The same sort of thing happened in Nauvoo shortly after Joseph Smith’s death. Now let’s go back and talk about how Brigham Young solidified the position of the Quorum of the Twelve Apostles as the leaders of the church. First under this heading we are going to talk about the office of the presiding patriarch, the Church Patriarch. Now Joseph Smith’s father, Joseph Smith Sr. was the first Church Patriarch. After Joseph Smith Sr. passed away the office went to Hyrum Smith, Joseph Smith’s brother. This is an office that no longer exists in the LDS Church. And that’s interesting to me because I was baptized in 1978 and we're all perhaps familiar with the centerfold in the General Conference issues of the Ensign. And by centerfold, I mean the middle section that opens up and there's all the different pictures of all the different general authorities: they have the First Presidency pictures at the top and the Quorum of the Twelve next and all the hierarchy is spelled out with names and little photographs off all the different people who occupy those positions. Well, way back when I joined the church in 1978, when the church Ensign came out, there was a picture in that centerfold that no longer exists, and that was the picture of the church patriarch. Yes, the church patriarch appeared on the church centerfold. His name was Eldred G. Smith, and he had his own picture up there, though I can’t quite recall at this point where he fell on this chart. I can guarantee you, however, his picture was not above the First Presidency. And that might have been a surprise to Joseph Smith. Because Joseph Smith clearly thought, at least as of the time of his death, that the patriarch was the highest office in the church. "That from henceforth he shall hold the keys of the patriarchal blessings upon the heads of all my people,"
"That whoever he blesses shall be blessed, and whoever he curses shall be cursed; that whatsoever he shall bind on earth shall be bound in heaven; and whatsoever he shall loose on earth shall be loosed in heaven." Now there are only two individuals and two positions in the entire Doctrine and Covenants that are referred to by the title Prophet, Seer and Revelator. One of them is Joseph Smith, the other one is Hyrum Smith. Now, skipping to verse 123 in Section 124, the Lord now introduces the different offices and the different positions in the leadership of His church, quoting from Section 124. "First, I give unto you..."
"First, I give unto you Hyrum Smith to be a patriarch unto you, to hold the sealing blessings of my church, even the Holy Spirit of promise…"
"First, I give unto you Hyrum Smith to be a patriarch unto you, to hold the sealing blessings of my church, even the Holy Spirit of promise whereby ye are sealed up unto the day of redemption, that ye may not fall notwithstanding the hour of temptation that may come upon you." I’m going to stop reading Section 124 at this point, and I want to make another note. It appears from this revelation that the office of Church Patriarch is the highest in the church because it comes first in the Lord, and the Lord says it’s first in the revelation. But I want to add additional evidence to that. The context of this quote by Joseph Smith saying that the patriarchal office is the highest office in the church arose because Joseph Smith and some of the other brethren were sitting in judgment on a wayward Mormon whose last name was Winchester. We don’t hear about him much in the church, but Winchester was having problems with the church. He was making certain claims, and one of the claims he made was that there was a conflict between the Patriarch and the Quorum of the Twelve. Joseph Smith is saying, no there’s no conflict. The patriarchal office is the highest office in the church. It’s over the Twelve. No conflict. This little-known episode with Winchester is found in the History of the Church, Vol 5, pp. 411. But the History of the Church omits the statement that Joseph Smith made about Hyrum’s patriarchal office being the highest in the church. That statement is found in the minutes of the meeting that Joseph Smith had with Hyrum Smith, James Adams, Newell K. Whitney, and others in Nauvoo on May 27, 1843 in the LDS Archives. This is found in D. Michael Quinn’s The Mormon Hierarchy: Origins of Power, pp. 306, footnote 70. It is in the minutes of the meeting, but when those minutes got reproduced and published in the History of the Church, that line was taken out. Once again, the History of the Church is a multi-volume production that was created after Joseph Smith’s death, after the apostles took over leadership, after Brigham Young became president. And even though it was based upon the original minutes of certain meetings, the apostles who had to give approval for the History of the Church to be published made sure that there was nothing in the History of the Church that could compromise their claims to leadership. This is an example. Joseph Smith said the patriarchal office is the highest office in the church. Sorry, that's not going to make it into the History of the Church. We are going to delete that. We’ll still have the story about Winchester, only it’s going to be missing this critical passage. So now I would like to go back to something I mentioned at the beginning of the last episode, which was the anointing of the different offices and quorums in the church in the Kirtland Temple January 21, 1836. I mentioned in the last episode that the Quorum of the Twelve Apostles was not first, was not second, was not third, fourth, or fifth. The Quorum of the Twelve Apostles was sixth in the list. The important thing for purposes of this subject is that Number One leading the list was presiding Patriarch, Joseph Smith, Senior. He was anointed first in the Kirtland Temple. After that, the First Presidency, and then down number six, the Quorum of the Twelve Apostles. For those of you who want to know the rest, I will state them quickly: Number three were the regional bishops of Kirtland and Zion (or Missouri) with their counselors; number four was the Stake President in Kirtland where the temple was then located; number five was the stake president in Zion (Missouri); six was the Quorum of the Twelve Apostles, as I said; number seven was the presidency of the Seventy; and number eight was the president of the High Priests Quorum. But after Joseph Smith died and Hyrum died along with him, there was some controversy over who would be the next patriarch. I don’t have the time to go into it now, but there is an excellent book on the subject. That book is called Lost Legacy: The Mormon Office of Presiding Patriarch. If you are interested in the subject you can get that book and read through it; we are just going to touch on a couple of points. The first point is that immediately after Hyrum Smith died, the church patriarch was no longer the highest office in the church. As you can imagine, Brigham Young did not have anybody above the apostles. The apostles were top dog in the New Church of Jesus Christ of Latter-Day Saints. But the office of Church Patriarch was allowed to continue. And over time, and over decades, and after the church got into Utah, more and more responsibility and authority and power was taken away from the office of the Church Patriarch until eventually he was just a figurehead who had his picture printed with the other officers of the church in the General Conference Ensign. The church grew, and as part of the church growth, patriarchs were called in every stake to administer the patriarchal blessings. The apostles at some point took away from the patriarch the power to seal up unto eternal life, the power to make one's calling and election sure. And once that power was taken away, the Church Patriarch largely became a figurehead. Ultimately, Eldred G. Smith, the last patriarch of the church, was put on emeritus status in 1979. What that means is, he was put out to pasture. That happened in the October General Conference 1979. On October 4th, Eldred G. Smith was put on emeritus status. Up to that point he had been sustained as Prophet, Seer and Revelator, as he is denominated in Doctrine and Covenants, Section 124. However, after he was put on emeritus status he was no longer called that. And most importantly, no new Church Patriarch was called, which would have been his eldest faithful male child. 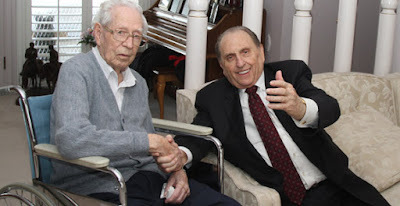 But because no new Church Patriarch was called to take his place and Eldred G. Smith was simply put on emeritus status, he continued to live for many more years until he passed away on April 4, 2013. Eldred Smith with Thomas Monson. Guess which one got to stay in office? Once he passed away, the office of Church Patriarch, the office that Joseph Smith called "the highest office in the church," went out of existence. And with the removal of the Church Patriarch from the church hierarchy, the apostle’s coup d’état was complete. So in summary, the Quorum of the Twelve have now taken over the First Presidency and ultimately eliminated the highest office in the church, that of Church Patriarch. Let me try to express this in an analogy. Most of us are familiar with how the United States government is constructed. There are three bodies, the Legislative, the Executive, and the Judiciary. Suppose with me that the President and the Vice President were assassinated at the same time. And further suppose with me that the Constitution makes no provision for who should become president in that eventuality; that the President and the Vice President are gone in one blow. Now in my analogy, the Legislature picks a new President and a new Vice President and the Legislature picks them out of the Senators. So now two Senators become the President and the Vice President. In that way, the Legislative branch has taken over the Executive branch. But then they want to take care of the Supreme Court, too. Well somebody gets a good idea: we don’t have to fire all nine of the justices on the Supreme Court. All we have to do is fail to appoint new ones when the old ones die out. And eventually all nine of the Supreme Court justices die and there is no more Supreme Court. This is similar to what the Quorum of the Twelve Apostles did in taking control over the LDS Church. In my analogy let me ask a couple of questions: What allegiance would an American citizen have to the Federal Government if such a usurpation of power occurred? Here’s the Legislative branch; they’ve taken over the Executive branch. They’ve appointed of their own number a President and a Vice President, so they’ve got control of that. Now they’ve done away with the Judicial branch by letting the Supreme Court die out. The Legislative branch has assumed complete control of the entire government of the Executive and the Legislative. They have all the power. What allegiance would an American have to a federal government if such a usurpation of power occurred? And similarly, I’ve got to ask the question: what allegiance does a Mormon have to a church government if such a usurpation of power occurred? That is a question that every Mormon must answer for him or herself. So that’s how Brigham Young and the apostles took control of the leadership of the LDS Church. But that’s not the end of it. Brigham Young also took control over the entire church. He took control over the stakes of Zion, and that is a place where the apostles never had authority until Brigham Young seized it in contravention and contradiction to the revelations that God gave to Joseph Smith. We touched on this earlier; we’ll go more in-depth on it here in a second. But now I've got to use another analogy. If we want to understand what the church was like in Joseph Smith’s day we have to get rid of our presuppositions about the way the church is now. It was not First Presidency over the entire church at the top, Quorum of the Twelve Apostles over the entire church next, Seventy over the entire church next. It wasn't this type of General Authority Hierarchy in Joseph Smith’s day. Instead, let me use this analogy: I’m going to compare this to a county prosecutor’s office. Now in a county prosecutor’s office there are two divisions of prosecutors. Usually when we think of it, we think of the criminal division of the prosecutor’s office, with the criminal deputies. There are deputy prosecutors in the criminal division; they prosecute cases. They get most of the news stories. That’s how we tend to think of them first. But there is another equally important division in the county prosecutor’s office, and that is called the civil division. They don’t prosecute crimes; that’s the other division. In the civil division they have deputy prosecutors who represent the county against claims and lawsuits made by other people against the county. So that’s why it’s the civil division. The civil division is a completely separate division from the criminal division, but they're all part of the same prosecutor's office. The elected prosecutor, the guy that gets voted into office, is the head of the office and he is over both the criminal division and the civil division. So that’s how a county prosecutors office is set up. Now, going back to the church in Joseph Smith’s day, there were two completely separate divisions of the church. There was one division where Stakes of Zion were organized. Wherever there is a stake, there is a Stake President and a Stake High Council that was part of the organization. In places where there was a Stake High Council, the Stake High Council had authority for governing what happened inside the Stake. That's why they're there, that's what they do. Now everywhere there isn't a Stake, that's the mission field. That's outside the Stakes of Zion. And outside the Stakes of Zion, that's where the Quorum of the Twelve Apostles and the Seventy have authority. That's where they go. That’s where they go out and preach the gospel; that's why they're the Traveling High Council, because they travel. That's why the Stake High Councils are Standing High Councils, because they stay in one place in their Stake and govern there. Now, going back to Section 107, we talked about how it says the First Presidency is a quorum, and the Quorum of the Twelve Apostles is equal in power and authority to the First Presidency, and the Seventy is equal in power and authority to the Quorum of the Twelve. But it goes on. When we hear about it in church, that's where the speaker stops. Like the talk from President Hinckley that I quoted in the last episode; he gave a General Conference talk, but that's where he stops. He talks about the First Presidency. He talks about the Quorum of the Twelve. He talks about the Quorum of the Seventy, that they're all equal in power and authority, but he stops there. He doesn't go on any further in Section 107. And there's good reason for that. Because Section 107 goes on to say that not only those three quorums have equal power and authority but also the Stake High Councils are equal in power and authority to the Seventy, to the Quorum of the Twelve Apostles and also to the First Presidency. So you can understand why that doesn't get mentioned very often in church. Let's go to section 107 starting with verse 33, where once again the Twelve are referred to as a Traveling Presiding High Council. "The Twelve are a Traveling Presiding High Council, to officiate in the name of the Lord, under the direction of the Presidency of the Church, agreeable to the institution of heaven; to build up the church, and regulate all the affairs of the same in all nations, first unto the Gentiles and secondly unto the Jews." It’s the same calling as the Twelve. See how this makes so much more sense when you understand the Twelve are not over the entire church, but they’re over the missionary effort outside the places where Stakes of Zion have been organized. "The Twelve being sent out, holding the keys, to open the door by the proclamation of the gospel of Jesus Christ, first unto the Gentiles and then unto the Jews." "The standing high councils, at the stakes of Zion, form a quorum equal in authority in the affairs of the church, in all their decisions, to the quorum of the presidency, or to the traveling high council." "The high council in Zion form a quorum equal in authority in the affairs of the church, in all their decisions, to the councils of the Twelve at the stakes of Zion." Now, when it talks about the councils of the Twelve at the Stakes of Zion, that's talking about the additional Stakes other than the Stakes that were formed In Zion. There's a High Council in the Stake of Zion Missouri; there's also a high Council in Kirtland at the time this is being written, and there are other High Councils that are anticipated that will be created in the future, and that indeed were created in the future in Nauvoo as the church expanded and more Stakes were organized. What verse 37 says is the High Council in Zion form a quorum equal in authority in the affairs of the church to the councils of the Twelve at the Stakes of Zion. So in other words, the High Council in Zion is equal in authority to the other High Councils in the other Stakes of Zion. "Whereas other officers of the church, who belong not unto the Twelve, neither to the Seventy, are not under the responsibility to travel among all nations, but are to travel as their circumstances shall allow, notwithstanding they may hold as high and responsible offices in the church. So, it's only the Twelve and the Seventy who are under the responsibility to travel among all nations. The reason they are under that responsibility is because their responsibility is to preach the Gospel and open the door to the proclamation of the gospel in all the nations. This 1835 revelation about the High Council having equal authority to the Quorum of the Twelve was reinforced when Joseph Smith told the High Council after he organized them, "If he should now be taken away, that he had accomplished the great work which the Lord had laid before him, and that which he had desired of the Lord.” Joseph Smith added "he now had done his duty in organizing the High Council through which counsel the will of the Lord might be known on all important occasions in the building up of Zion and establishing truth in the earth." That's how clear it was. Let me read that again. "Joseph Smith told the Twelve in 1835, May 2nd, that they had no right to go into Zion or any of its Stakes and there undertake to regulate the affairs thereof where there is a standing High Council.” Instead, their jurisdiction extended only to the areas outside Zion (the church's center place in Missouri), or any of its Stakes. In another instance of the apostles monkeying with the history of the church, a meeting was held February 27, 1835 at which Joseph Smith proposed the following question: "What importance is there attached to the calling of these twelve apostles different from the other callings or officers of the church?" This was a huge question at the time. There was already a high council of twelve individuals which was very high up in the church. What was the difference between the calling of the Twelve Apostles and other callings or officers in the church? After this question was discussed by several present, Joseph Smith, Jr. gave the following decision: "they are the twelve apostles who are called to the office of the Traveling High Council, who are to preside over the churches of the saints among the Gentiles where there is a presidency established." Now pay attention to that quote, because that's where the history of the church changes it from the original minutes. Once again it says "who are to preside over the churches of the saints among the Gentiles (that's the apostles), where there is a presidency established." presidency established, they are to preside. If that were correct that would mean the apostles were over the Stake Presidencies, because it says they preside over the churches of the Saints among the gentiles, where there is a Presidency established. Now the problem is when you look at the actual Kirtland Council Minute Book, one word in this quote was changed. And instead of the Church History version where it says "where there is a presidency established," it actually said "where there is no presidency established." 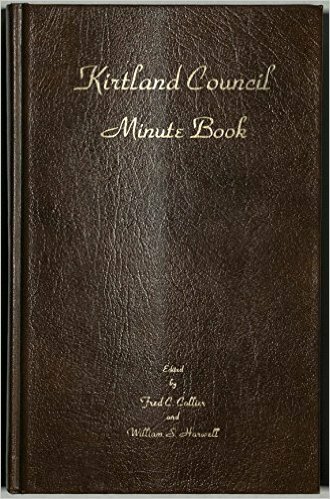 The minutes in the Kirtland minute book make it clear just what I've been saying all along, which is that the apostles have no authority to preside where there is a presidency established. In other words, where there is a stake presidency established, they have no authority in the Stakes of Zion. But this was considered damning enough that when the History of the Church was published, this language was changed so it did not challenge the authority of the apostles over the Stake Presidents. And again, this language had to be changed by the apostles in order not to completely undercut the authority they had already assumed over the Stakes of Zion. Interestingly, this incorrect quote from the minutes of the meeting is perpetuated in the MormonWiki link on the subject of the Quorum of the Twelve Apostles. They use the language from the History of the Church "where there is a presidency established.” We wouldn't want MormonWiki undercutting the authority of the Twelve Apostles by accurately quoting the church documents. Now, the quotes we have been using from Joseph Smith regarding the Quorum of the Twelve Apostles having authority outside the stakes of Zion versus the Stake High Council's having authority inside the Stakes of Zion have come from 1835. So it's important to note that as late as 1843- May 27, 1843, that is a year before Joseph Smith died- Joseph Smith is quoted as making the same point. What he said was "the High Council was to try cases that belonged to the Stake and the Twelve to regulate the churches and elders abroad in all the world." Now that last expression he says, "in all the world," is the phrase that Joseph Smith used to talk about the fact that the apostles had authority outside the stakes of Zion. When he says "in all the world" he means in all the world outside the Stakes of Zion where there is no Stake organized. Let me repeat that quote once again "the High Council was to try cases that belonged to the Stake, and the Twelve to regulate the churches and elders abroad in all the world." That is significant because in Section 107 we frequently hear the verse cited regarding the apostles being special witnesses of Christ and, more specifically, "special witnesses of the name of Christ." What we tend to focus on today is the fact that they are special witnesses. Does that mean that they have seen Jesus? Or does that mean that they are special witnesses of the name of Jesus as the verse states? But the verse in Section 107 says the Twelve are to be special witnesses of the name of Jesus, in all the world. And I think that at the time it was written, the emphasis there was in all the world equal to, if not more so, than emphasis on their being special witnesses of the name of Jesus, because it is followed up immediately by saying the Quorum of the Seventy are also to be especial witnesses of the name of Jesus in all the world. Those expressions "in all the world" in their historical context, and comparing it with other usages by Joseph Smith, means in all the world in places where there are not Stakes organized. So, when Section 107 says the apostles are to be special witnesses of Jesus in all the world, it means their witness is to be limited to places where the Stakes are not organized. They are missionaries in the mission field. That is their exclusive dominion. That is where they have authority, and that was repeated once again by Joseph Smith as late as one year before his death, May 27, 1843: "The High Council was to try cases that belonged to the Stake, and the Twelve to regulate the churches and elders abroad in all the world." That citation can be found in the History of the Church, Vol 5, pp. 410. The stake president of Nauvoo at the time was a man named William Marks. That’s another name we don’t hear very often in Sunday School class. William Marks was the president of the Nauvoo Stake at the time of Joseph Smith’s assassination, and as such he had a major league claim to leadership of the church. But William Marks was not ambitious; he did not want to claim leadership of the church. So instead of making his own bid for leadership of the church, he backed Sidney Rigdon’s claim to leadership of the church. Sidney Rigdon, as we talked about last episode, did not get very far in his bid to become leader -or in his words, "guardian"- of the church. But that was not so much because he didn’t have a good claim on it, being the sole remaining member of the First Presidency; but mainly because of his personality and his somewhat wishy-washy performance in the church for a number of years preceding that. So Sidney Rigdon was excommunicated by Brigham Young on September 8, 1844, mainly because Rigdon did not back Brigham Young. We have to get used to this in Mormon history when we’re talking about the real history at the time of the succession crisis. Brigham Young brooked no opposition. And after the apostles took over leadership of the church, anybody who was not on board with the apostles was going to have to be taken care of in one way or another. So Sidney Rigdon was excommunicated on September 8, 1844. Within four weeks of Sidney Rigdon’s excommunication, Brigham Young took a number of steps to solidify his power and he did this by dismantling the other competing power structures. Brigham Young first eliminated the potential threat of the Seventy. Yes, I said of the Seventy. Isn’t the Seventy beneath the Quorum of the Twelve Apostles? Well yes, they are in today’s church, and they were in some sense back then too. But remember Section 107 says what? That the Quorum of the Seventy is equal in power and authority to the Quorum of the Twelve Apostles. So Brigham Young, seeing the Quorum of the Seventy as a threat, or at least a competitor to the power and authority of the Quorum of the Twelve Apostles, took steps to dismantle them. How did he do that? Well really quite brilliantly if you think about it. What he did was this. First off, we have to review the organization of the Quorum of the Seventy. It was organized the same then as it is today: there are seven presidents of the Quorum of the Seventy. Those seven presidents are not in addition to the Seventy, they are part of the number of Seventy. So, there are actually seven presidents of the Seventy who are members of the quorum of the Seventy themselves, and then there are beneath them in that Quorum sixty-three other members of the Seventy. There's 63, plus the 7 who are in leadership, which makes a total of 70 if I’m doing my math right. What Brigham Young did on September 29th, was he took all the Seventy out of the Quorum of the Seventy except for the presidency of seven. So he took all sixty-three of the Seventy out of the Quorum of the Seventy. What did he do with them? Well, he decided that he would create nine more subordinate quorums of the Seventy; subordinate to the original First Quorum of the Seventy. Because it was this First Quorum of the Seventy that was seen as having power equal in authority to the Quorum of the Twelve Apostles. Well, what does Brigham Young do about that? He takes all of them away except for their leadership, creates nine new subordinate Quorums of the Seventy, and he takes those 63 previous members of the First Quorum of the Seventy and he makes them the Presidents of nine new Quorums of Seventy. 63 divided by 9 is 7. So that’s the division on how he created nine new presidencies for Quorums of the Seventy. What he did by this means was he took away sixty-three of the members of the original Quorum of the Seventy. So now that quorum could not come anywhere near to having a majority present, which was necessary in order for them to make any kind of a decision. He completely stripped them of all their power and authority. Now, this part has to be emphasized: Why did Brigham Young do this? We have to look behind this and recognize the fact that Brigham Young would not have done this unless he saw the Quorum of the Seventy as a competitor. And the reason he saw the Quorum of the Seventy as a competitor is because he understood Section 107 as meaning what people back then thought it meant; which is that these Quorums are equal in power and authority one with another. He saw the revelation as saying what it means, and because of that, he felt he needed to get rid of the Quorum of the Seventy and denude it of its membership. Now Brigham Young had to deal with the competition from the Stake High Council in Zion. Remember Section 107 says that they are also equal in power and authority to the Quorum of the Twelve Apostles. And not only that, Brigham Young knows that the Stake High Council has authority in the stakes of Zion; he does not. He's going to have to find a way to grab control over the Stake High Council. 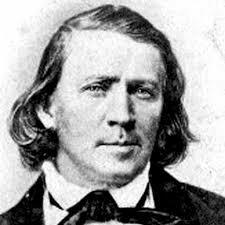 And this is what he does: On October 8, 1844, Brigham Young ordained more than four hundred men to the office of Seventy. On that single day. Now remember, he's just created these nine subordinate Quorums of Seventy by creating their presidencies out of the original Quorum of Seventy; now he’s going to fill up those quorums. How is he going to do it? Well, basically he’s going to take all the priesthood holders he can that live in the Nauvoo Stake and he's going to call them as Seventies to fill up these additional Quorums of Seventy he has created. Why is he going to do this? So, he can strip virtually all priesthood holders out of Nauvoo Stake and diminish the power of the Stake High Council. Again, the details are that on October 8, 1844, Brigham Young ordained more than 400 men to the office of Seventy. This included all deacons, teachers, and priests that existed in the Nauvoo Stake. It also included every elder under the age of 35. The Seventy had suddenly become the most numerous office in the church, accounting for about 80% of Nauvoo’s males who held priesthood office. So suddenly on October 8, 1844, 80% of Nauvoo’s males suddenly become Seventies. And they are in subordinate Quorums of Seventy. The reason for this was the ambiguity of succession that Brigham Young was trying to overcome. This mass ordination of Nauvoo’s males to the office of Seventy removed them from the jurisdiction of the Stake High Council. 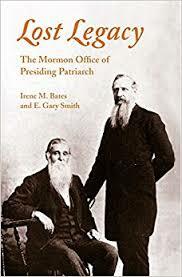 The Stake High Council had authority over elders, and also the other Aaronic priesthood offices. So when Brigham Young took 400 of them and ordained them to the office of the Seventy, he took them out from under the jurisdiction of the Stake High Council and was stripping the Stake High Council of its priesthood membership. Believe it or not, by the time of the exodus from Nauvoo -and that was early in 1846- guess how many quorums of Seventy Brigham Young had filled up? The answer is thirty-five. In less than a year and a half, Brigham Young had filled up thirty-five Quorums of Seventy. This accounted for most of the males who received the endowment in the Nauvoo Temple, and transferred nearly two-thousand and five hundred men out of the jurisdiction of the Stake High Council. This is how Brigham Young overwhelmed by sheer numbers the revealed equality of authority which Section 107 says the High Council at Nauvoo shared with the Quorum of Twelve Apostles. Now in addition to this, Brigham Young used another administrative technique to remove most High Priests from the jurisdiction of the High Council. Remember, he’s gotten rid of most of the elders, the deacons, the teachers and the priests. Now he’s going to get rid of most of the high priests from the High Council. Here’s how he does it: On the same day he depopulated the quorums of the Aaronic Priesthood and the elders through the mass ordination of Seventies, Brigham Young selected eighty-five of Nauvoo’s high priests. To do what? To go abroad in all the congressional districts of the United States to preside over the branches of the church. He made them Branch Presidents. He took eighty-five of the High Priests and made them Branch Presidents. And why did he do that? Who has authority in the mission field where there are not Stakes organized? If you remembered the answer is the Quorum of the Twelve Apostles, you’re correct. So this is another way Brigham Young took priesthood officers out of the Stake and put them under his jurisdiction. In addition to those eighty-five High Priests, three months later Brigham Young called another fifty High Priests as missionaries. Also outside the jurisdiction of the High Council and under the jurisdiction of the Quorum of the Twelve. Well, what happened to William Marks, the President of the Stake? Here is what happened to William Marks: First, William Marks was released by Brigham as the Nauvoo Stake President. Then Brigham Young tried to have him excommunicated. But the High Council would not go for it. On December 7, 1844, Brigham Young accused William Marks of apostasy. Some things never change, do they? His tactic was to accuse William Marks of apostasy because he refused to sign a statement repudiating Sidney Rigdon’s claims, and those were Sidney Rigdon’s claims that he should be the guardian of the church and not the Twelve Apostles. William Marks barely preserved his membership in the church, and he did so by signing a statement on December 9th that condemned Sidney Rigdon and acknowledged the authority of the Quorum of the Twelve. So he kissed the Quorum of the Twelve’s ring and he was allowed to stay a member of the church. The apostles published his statement, but never bothered to take any further action against him. For most Mormons, that was really not necessary. One Mormon even regarded the humiliating release of Marks as Stake President as the equivalent of excommunication. “President Marks has been cut off and Uncle John Smith is put in his place.” That’s from the Nauvoo High Council minutes, December 7, 1844. (See Dinger, Ed,. 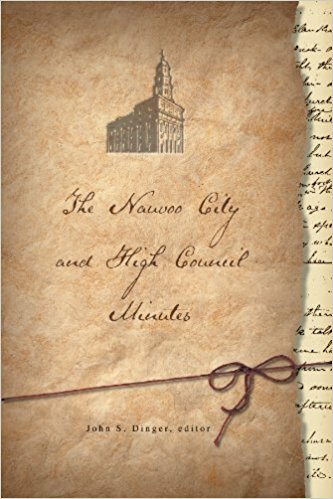 The Nauvoo City and High Council Minutes, pg 535-536). So really, he is pretty much out of the way. But that wasn’t quite good enough for Brigham Young. William Marks ended up leaving Nauvoo in the latter part of February 1845. Things were made very hot by Brigham Young for any dissenters. And by dissenters, I mean Mormons who did not support fully the Quorum of the Twelve Apostles as the leaders of the church. Remember, there had just been a huge succession crisis; not everybody voted for Brigham Young and the apostles. Many voted for other people. There was Sidney Rigdon, there was James Strang, and there were several others to boot. So now that the majority voted for Brigham Young and the apostles, what to do with the people who would not get in line with Brigham Young and the apostles? And believe me, if you had voted against Brigham Young and the apostles back in August, it really didn’t make that much difference what you said. You were going to be under suspicion that you still did not support Brigham Young and the apostles. Many of us in the church have heard of this whittling and whistling brigade. However, in church art and church stories this is typically represented as a bunch of young boys who wander around the streets of Nauvoo and they have pocket knives out and they whittle on sticks, and while they whittle they whistle. The idea being, that if they see a stranger in Nauvoo or someone who looks like they mean harm, then they are supposed to follow them and whittle and whistle; not only to annoy them, but also to notify others that there's a problem going on so that more boys will show up and eventually this person who's in town, this stranger who means no good, will get fed up and he’ll leave town just because it’s so annoying and bothersome that all these boys are whittling and whistling. That, as I say, is the Church presentation of what the whittling and whistling brigade was. The reality was something completely different. The reality was much more threatening. The reality was that these were not young boys, but in fact they were young men and adults. Not only are they not little boys, they’re also not whittling with pocket knives. They're whittling with Bowie knives. They were armed with knives from ten to fourteen inches long. And what would happen is, a dozen young men and adults would press close to a dissenter or a suspicious non-Mormon. And their incessant whittling with those large knives was enough to strike terror to the hearts of the victims, and they would get out of town as quick as their legs would carry them. Now you can understand there’s quite a difference between a bunch of kids with pocket knives whittling, and grown men with Bowie knives whittling and whistling and getting very close to you. One would be an annoyance; the other would be an implicit death threat. And that is how a number of dissenters were gotten rid of out of Nauvoo. Because they were no longer welcome in town and Brigham Young made sure that they knew they were not welcome in town so that they would leave as soon as possible. One witness in Nauvoo saw a dissenter to Brigham Young going out of town "whittled" by about 20 men with long Bowie knives kicking him down and pushing him in the mud for three quarters of a mile. As to William Marks specifically, the humiliated and released former Stake President of Nauvoo? the hostile environment in the city and his place in the church now was enough to induce him to leave town voluntarily. In other words, William Marks spared himself the repressive tactics which the Twelve and their supporters were using against suspected dissenters. Brigham Young himself wryly observed that “Brother William Marks had gone without being whittled out.” This was the verb that was used for people who were run out of town by the whittling and whistling brigade: being "whittled" out. Was A Third Smith Brother Assassinated? Now we come to the sad and tragic tale of Samuel Smith. You will remember that Samuel Smith was Joseph Smith’s brother. Pretty much the only thing we hear about Samuel Smith in church is that he was the first missionary in the LDS Church. He was the one who took a bunch of newly printed copies of the Book of Mormon, put them in his knapsack, and traveled throughout the countryside handing them out to different people and different families. And sometimes we hear about the impact that missionary work had on members in the church and the new members that that missionary effort by Samuel Smith brought in. What we don't hear in church about Samuel Smith is what happened to him after Joseph Smith died. And there’s probably good reason for that. Samuel Smith was in Nauvoo July 10, 1844. His brothers Hyrum and Joseph had just been killed on June 27, 1844, thirteen days before. But on July 10th Samuel Smith shows up, and he has a remarkable claim to make. Remember we talked about all the people who came forward saying they had appointments by Joseph Smith to be the President of the Church? And how, according to the Doctrine and Covenants, a specific and personal appointment by Joseph Smith to be the next president seems to be required in order to qualify for that office of President? Well, Samuel Smith had such a claim. 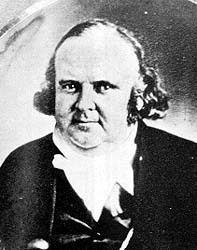 Samuel Smith claimed he had an appointment by his brother Joseph Smith and that appointment was to become President of the Church if Joseph and Hyrum Smith both died. Now that may sound a little convenient from this point of view, considering the fact that Joseph and Hyrum Smith had both died. But remember, Joseph was a Prophet, Seer and Revelator, so presumably his followers would believe that Joseph Smith could predict such an outcome. We find this fact in the diary of William Clayton for July 12, 1844. And in his July 12, 1844, entry he talks about the meeting that he had with Samuel Smith two days before on July 10, 1844. Also present at this meeting was Willard Richards, W.W Phelps, and John Smith. Now, Willard Richards was a member of the Quorum of the Twelve Apostles. He was also a cousin of Brigham Young, and Willard Richards wanted to put the brakes on Samuel Smith’s claim that he should now be President due to this appointment from Joseph Smith. And Willard Richards wanted to put the brakes on it until at least August, because the other apostles were out in different parts of the country. They had been sent there to stump for Joseph Smith’s candidacy for President. And they had to take time to get back to Nauvoo, that’s why it took till August for all the apostles to get back in Nauvoo. Willard Richards wanted to delay Samuel Smith’s claim until August. There was enough talk about Samuel Smith’s succession claim that the newspaper in Springfield, Illinois reported "a son of Joe Smith," (apparently Joe Smith Sr.) -"a son of Joe Smith, it is said, had received the revelation that he was to be the successor of the Prophet." So apparently this news was getting bandied about to the point where the newspaper in Springfield, Illinois even reported on it. But after Samuel Smith made his claim to church leaders on July 10, but before the apostles all returned to Nauvoo in August, Samuel Smith died. It is the circumstances of his death that are of interest. Samuel became violently ill and died on July 30, 1844. Now this seemed highly coincidental, and perhaps suspicious to a number of people that Samuel Smith should come into town, claim that he is the next successor to Joseph Smith by direct appointment, and then shortly after making that claim Samuel becomes violently ill and dies twenty days after making that claim. John M. Bernhisel, who is a physician and also a member of the Council of Fifty, told William Smith that his brother Samuel had somehow been poisoned by anti-Mormons. So John Bernhisel may have thought it was poisoning, but he attributed it to anti-Mormons. Other people, however, thought it was poisoning, but not anti-Mormons who did it; but rather the most true and faithful Mormons -at least the most true and faithful Mormons to Brigham Young and the apostles. William Smith learned from Samuel’s widow that Hosea Stout had acted as his brother’s nurse while he was sick and given him “white powder” for medicine every day until Samuel Smith died. Now as I said, Samuel became ill within days of the discussion of his succession right; and by July 24, which was 14 days later, was already very sick. He would die six days after that, on July 30th. 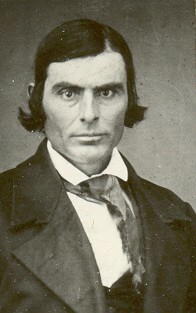 William Smith eventually concluded that apostle Willard Richards -remember, Willard Richards was the one who wanted to delay the discussion of Samuel Smith’s appointment until all the apostles got back, including his cousin Brigham Young- William Smith eventually concluded that apostle Willard Richards asked Hosea Stout to murder Samuel Smith. The motive was to prevent Samuel from becoming Church President before the full Quorum of the Twelve arrived in Nauvoo. William Smith had some basis for this belief. First, Hosea Stout was a Missouri Danite and a senior officer in the Nauvoo police. 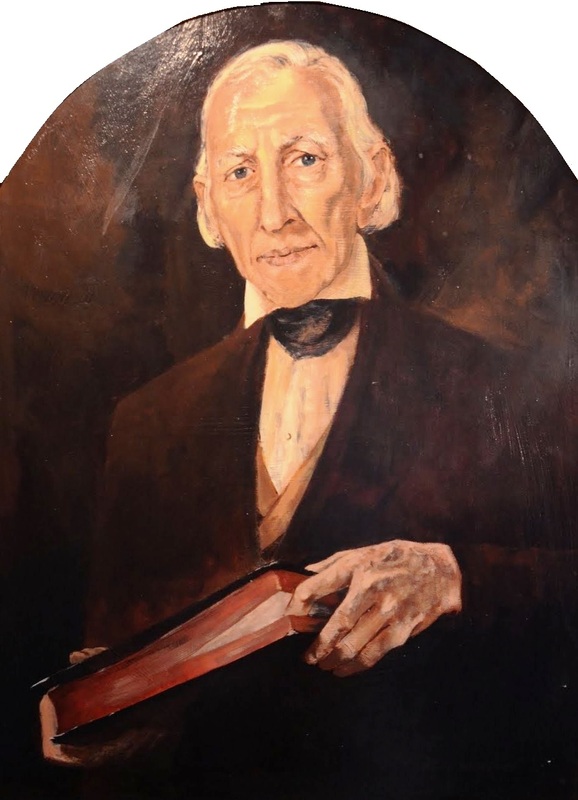 Additionally, you will remember that William Clayton was the scribe at the July 10, 1844, meeting at which Samuel Smith claimed he had the right of succession from Joseph Smith. Well, later on, William Clayton believed that Hosea Stout was out to murder him. This is an amazing story. This is three years later; it’s 1847. You'll remember that it was in 1847 the first company of saints headed west from Winter Quarters. Well, before that happened, William Clayton went to Brigham Young and asked him for a special favor. William Clayton asked Brigham Young if William Clayton could be in the first company of saints to go West. The reason why he asked him this is reflected in William Clayton’s own journal. It was because William Clayton claimed that Hosea Stout -once again there’s Hosea Stout- William Clayton claimed that Hosea Stout had threatened to murder him as soon as the apostles left. So, it appears William Clayton at least regarded Hosea Stout as capable of murder. William Clayton in his diary did not record any attempt by Brigham Young to dispute this assessment. In other words, Brigham Young didn’t try and argue with him and say no Hosea Stout's not trying to murder you. Instead, Brigham Young granted William Clayton’s request to go west with the first company of saints. So this appears to be the type of person that Hosea Stout was. Was he capable of murder? Well, he was certainly capable of threatening William Clayton with murder in 1847. And yet there seems to be more evidence along this line. Samuel’s daughter also believed her father was murdered. What she wrote was this: “My father was undoubtedly poisoned.” She also wrote that her uncle, who’s name is Arthur Milliken, was poisoned at the same time, and she notes that "the same doctors were treating my father" -that’s Samuel Smith- "the same doctors were treating my father and Uncle Arthur at the same time." So you’ve got the same doctors treating them, they both have these same symptoms, they both get violently ill. Then she adds this: “Uncle Arthur discontinued the medicine” -you know, the medicine that was supposed to be making them get better- “Uncle Arthur discontinued the medicine without letting them know that he was doing so. Father continued taking it until the last dose.” And according to Samuel’s daughter, Samuel Smith spit it out and said he was poisoned. But it was too late. He died. In what would be the modern-day equivalent of a death certificate, Nauvoo’s sexton recorded that Samuel Smith died of Bilious Fever. 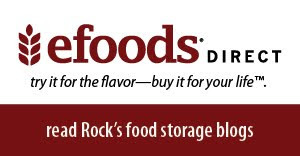 Now, Bilious Fever did cause the death of people from time to time, and in fact, Bilious Fever caused the death of two children that summer, the summer of 1844. But no other adults. So Samuel Smith is on record as being the only adult to die of Bilious Fever in the summer of 1844. This troubling allegation, that Samuel Smith was poisoned because of his claim that Joseph Smith had appointed him to be the next President cannot be ignored, but also it cannot be verified. Nevertheless, William Clayton’s diary confirms the efforts of Willard Richards to avoid the appointment of a successor before his first cousin Brigham Young arrived in town. And it will be recalled that Willard Richards was put into the reorganized First Presidency as a counselor to Brigham Young in December of 1847. Evidence does not exist to prove conclusively whether the Prophet’s brother, Samuel Smith, was such a case that Stout handled. So, although we cannot say with certainty that Samuel Smith was murdered, we can say that members of his family believe that he was murdered. That the allegation of Hosea Stout murdering him is not inconsistent with Hosea Stout’s known character and the circumstances surrounding Samuel Smith’s death are suspicious at best. Hosea Stout. Clearly not the face of a psychopath. This is going to conclude part two of the podcast, Apostolic Coup d'état, wherein we have set forth the evidence of how it is that Brigham Young and the Twelve Apostles, in a breathtaking power grab, assumed absolute and complete control of the Church of Jesus Christ of Latter-day Saints. First, Brigham Young got rid of all the competition for leadership of the Twelve. He got rid of the First Quorum of Seventy; he got rid of the Stake High Council; he got rid of the Stake President; he excommunicated Sidney Rigdon; and he made the office of Church Patriarch a mere figurehead. Brigham Young thereafter reconstituted the First Presidency with three apostles in it and took over control of the church. So everything that this podcast has been talking about, the way that Brigham Young transcended the bounds of his authority in order to do a coup d’état on the church -that feeling was held by other leaders of the church at the time of President Brigham Young. Only they dared not say it to him because they were scared of him. That’s how much they didn’t want to cross him. That’s how much they just said, we’ll let it slide. But after he died they started talking to each other, as will happen when a person dies. And George Q. Cannon, though he was surprised to find so much dissatisfaction in such quarters, nevertheless made a notation of it in his journal entry so that we can have it today.